Get in shape quickly and easily with the Power Plate my7. The Power Plate my7 is an advanced whole body vibration machine to take your health and fitness to the next level. 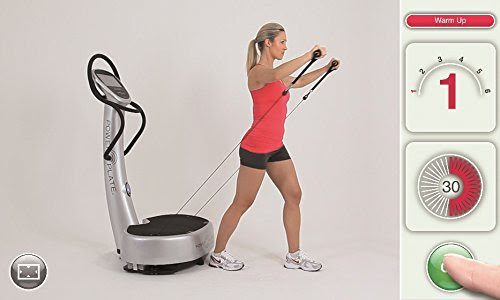 This impressive machine utilizes state-of-the-art technology including a Dual Sync Twin Motor System that maintains precise balance at any frequency and amplitude level, a PrecisionWave high-fidelity harmonic vibration system, and proMOTION dynamic Vectran cables that transfer the vibrations directly to the targeted muscles (with 7-position tension adjustment). 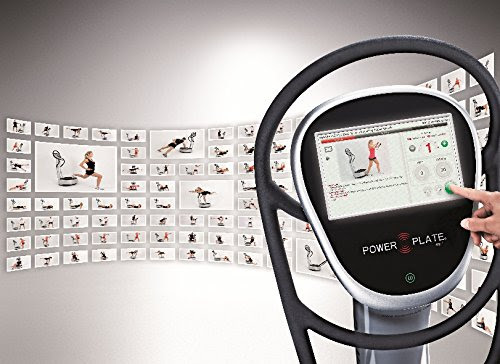 The Power Plate my7 comes with an easy-to-use 10” interactive touch-screen (sweat-resistant), providing amazing versatility with access to over 250 pre-set programs and over 1,000 individual exercises with coaching tips to guide you. With so many workout options, the my7 is suitable for people of all fitness levels, whether you’re a beginner looking to lose weight or a more experienced athlete training for a marathon. 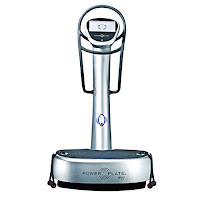 The Power Plate my7 has timer settings of 0-9 minutes in 15 second increments, and operates on a frequency range of 30Hz-40Hz with variable frequency increments of 5Hz. It offers low or high amplitude with a G-factor of 1-6 with intelligent manual control options. With the Power Plate my7’s console, you can create your own user profile, save your favorite workouts and track your progress. The my7 provides access to the 7-Series online fitness website where you can connect with other fitness users, track and share your progress. The my7’s console utilizes Windows CE 6.0 Professional operating system. Upgrades and additional content can be easily accessed through a local internet connection or a USB stick. 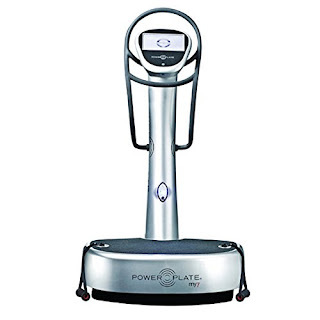 Additional features of the Power Plate my7 include a lower control panel for convenient operation while performing lower-positioned exercises, a USB port, headphone jack, audio 2 x 2W. Helpful tip: Just a 10 minute workout on a Vibration Platform Plate Machines is said to be equivalent to up to 60 minutes of traditional exercise. Vibration Plate Machines offer a whole range of health & fitness benefits, including weight loss, body toning, improved circulation, toxin elimination and more. See my article on Health & Fitness Benefits of Vibration Platform & Vibration Plate Fitness Machines for more information. N.B. It is advisable to consult your doctor or health care professional before using a Vibration Platform Machine, particularly if you suffer from joint problems, have a heart condition or use a pacemaker.